Langley United’s Brayden Gant and BCT Rovers Tigers United’s Nick Soolsma were the hat-trick heroes this past weekend, firing their respective team’s into Sunday’s BC Provincial A Cup final and ensuring a Fraser Valley Soccer League (FVSL) versus Vancouver Metro Soccer League (VMSL) match up for the second straight season. It’s going to be a tantalising clash at Swangard Stadium on Sunday afternoon, as VMSL champs Rovers Tigers try to make it eight straight Provincial titles for the league, while Langley United will be trying to win that first elusive championship for the Valley. We’ll have a comprehensive build-up to all of this weekend’s Provincial finals throughout the week here on AFTN, with recaps, photos, and videos from three of the four A and B Cup semi-finals, full previews of all four men’s Cup finals, and a couple of interviews thrown into it all as well. And we’ll kick it all off today with a look at the two semi-finals in the A Cup. Unfortunately I missed most of the first half of the Inter-Langley match on Friday as I was travelling home from the Oregon coast and the Tacoma traffic and border queue were not co-operative. But fret not, as Canucks4Ever from the Take The Piss forum was there for the whole 90 minutes and we have his match report along with Duncan Nicol’s (@VanCityVilla) photo gallery and our makeshift video of the action we did catch. 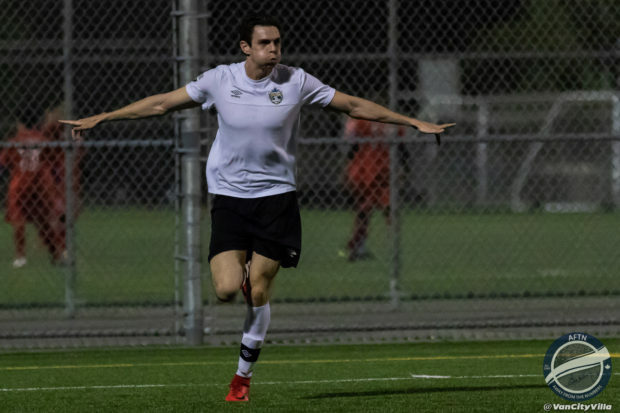 Plus we’ll bring you a brief recap of the main happenings in Sunday’s semi-final between Vancouver Island Soccer League (VISL) champions Cowichan FC and BCT Rovers Tigers United. As the calendar pages continue to turn the weather is becoming much more football friendly, though the 9pm kickoff for this one did still have a chill in the air so a jacket was required at Burnaby Lake. The spectators were in boisterous spirits for this one, even if it was a somewhat smaller crowd than took in the Surrey Derby or Inter’s Clash with Coastal the previous week in the quarter-finals. This was a semi-final that certainly did not disappoint from a neutral perspective and the action was intense from both teams from the off. Langley were boasting a mammoth striker up front, who towered over everyone else on the field, and you could see right away that set pieces were going to be an issue for Inter to defend. The FVSL side looked very dangerous every time a ball was whipped into the box and even had an early penalty shout when Milad Mehrabi opted to clear a corner via an overhead bicycle kick that very nearly made contact with the head of one of Langley’s attackers. 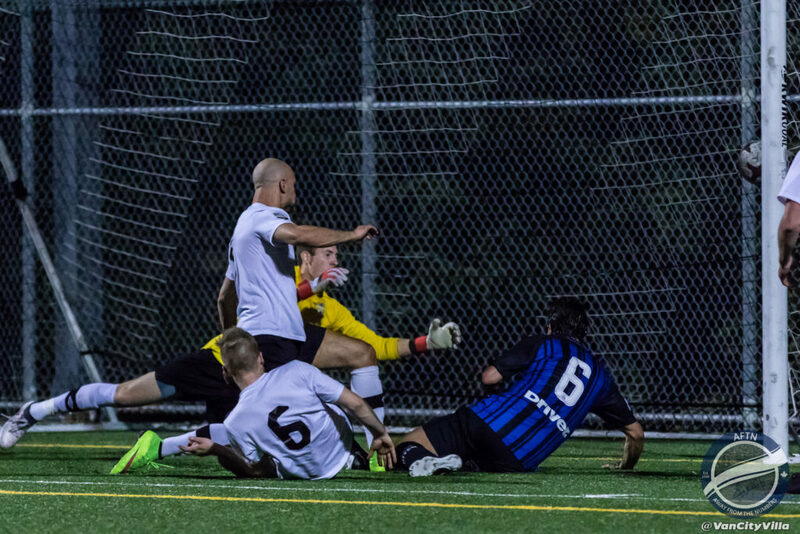 Milad would get back up to the end of the pitch that he is better known for playing in and Inter were stringing together some nice ball movement, but not producing anything to trouble Fraser Valley Golden Glove winner, and TSS Rovers Player of the Year, Andrew Hicks in the Langley goal. In fact both teams were having several “almost” moments in attack through the first quarter of the game, but nothing to really get the heart racing. The first real attempt on goal was a long range effort from Langley that, in the Battle of the Goalkeeping Andrews, Fink was able to dive out and push wide of the Inter goal. This would lead to yet another set piece for the Valley side and Inter could only half clear. The ensuing shot was miss-hit and rolled slowly through the penalty area until it acted as a perfect pass to Brayden Gant who received it inside the six yard box, with his back right up against a defender. He managed to shield the ball, swivel and fire low into the net from close range to open the scoring at 1-0. The rub? Gant had actually been tardy in getting back onside and was actually still behind the last defender when the original shot/pass was hit. He managed to dart back in front of the defender and, because the ball was moving so slowly, it did seem like he had been there for awhile. With all the moving bodies the assistant referee must have just looked away from the line to check the play at the exact moment when Gant nicked back onside. You could tell the Langley man suspected his guilt when his celebrations were massively subdued and he kept staring across at the assistant waiting for a flag, but none was to come and the tally stood. Going behind seemed to wake Inter up slightly and, naturally, they had a surge after conceding. A free kick called Hicks, into action once more, forcing him into a good, low, diving stop. Their pressure would continue and their next free kick would travel all the way through to the back post where Jordan Michael was on hand to bundle it in and level things up just past the half our mark. Langley looked to answer and yet another set piece saw a collision with Fink and the Langley attackers that had tempers flaring and each side showing how much this one meant to them, with a few players coming nose to nose with chests puffed out. Having gotten back to all square, Inter then looked to be taking the lead only to see Hicks produce an absolutely top drawer save, as he flew through the air to his left to paw the ball away from the far top corner. The “Italians” had a look from the ensuing corner kick but put their header wide. Langley, meanwhile, continued to fancy their chances from distance and, after putting a couple of efforts off the target, they forced another save from Fink and again earned a corner kick. The ball was swung in to the back post and then headed back into the mixer where Gant was again on hand to rise highest and bag his second of the match. No question of offside on this one! The goal was well timed, practically on the stroke of half-time, so the FVSL side were able to take their lead into the break and regroup. Inter started the second half with some changes and looked to have much more attacking purpose. Langley, understandably, were sitting just a little bit deeper and looking to kill things off on the counter. That being said, it took Inter more than 15 minutes to produce an effort of any quality, with Hicks on hand again to show his pedigree, making himself big and saving from close range. The ensuing corner saw Mehrabi get free and rise well for the header but his attempt went agonizingly the wrong side of the post. Langley looked to have the dagger in the 68th minute, but this time the flag was raised and Inter were give a reprieve. 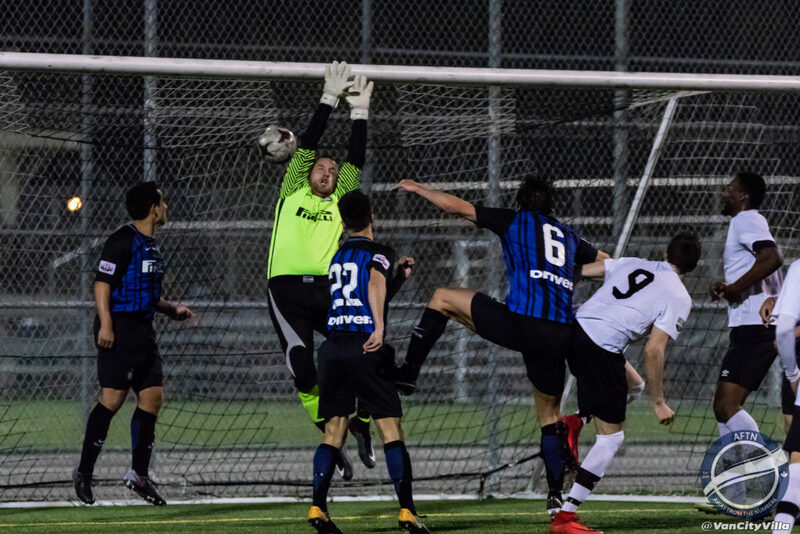 The defending Provincial Cup champions just simply could not capitalize, however, as a combination of good defending by Langley, and poor decisions in attack from the Vancouver boys, saw Inter settling for corners when they got any shot away at all. Inter’s last, best chance would come off the second phase of one of those corners when they had a big shout for handball. Referee Voja Sremcevic was well positioned however and not interested in the “Italians” appeals. Perhaps Inter’s efforts were best summed up when they sprung a partial breakaway down the right flank; two attackers were in pursuit, the winger, who was offside, and the overlapping fullback, who was onside and away to the races. Despite being right in front of the Inter bench and being shouted at to leave it, the winger played the ball and was flagged for offside; it just simply was not to be their day. Langley delivered the final nail to the Inter coffin with 10 minutes to go, when Gant would complete his hat trick. Fink got a hand to his shot but could only force it onto the post and it clipped the woodwork before settling into the back of the net. The celebrations were on in full force this time! In case anyone was worried that Inter were going to sportingly accept defeat, they ensured that they would be having the last word as far as their reputation goes. After Langley played the ball out so their player could receive treatment in injury time, Inter threw the ball into their attacker who cut in from the right on a breakaway. Certainly an unsavoury, some might say classless, move on the part of the VMSLers but they went for it and, with the goal at his mercy, the Inter man fired wide. If you are going to do that you had really better score. Langley, of course, confronted the perpetrators, but, with a Provincial Cup final looming, cooler heads prevailed. The FVSL side got past the hurdle at which they fell last year, ousting the Provincial Cup Champions who had ended their season at this stage last season. 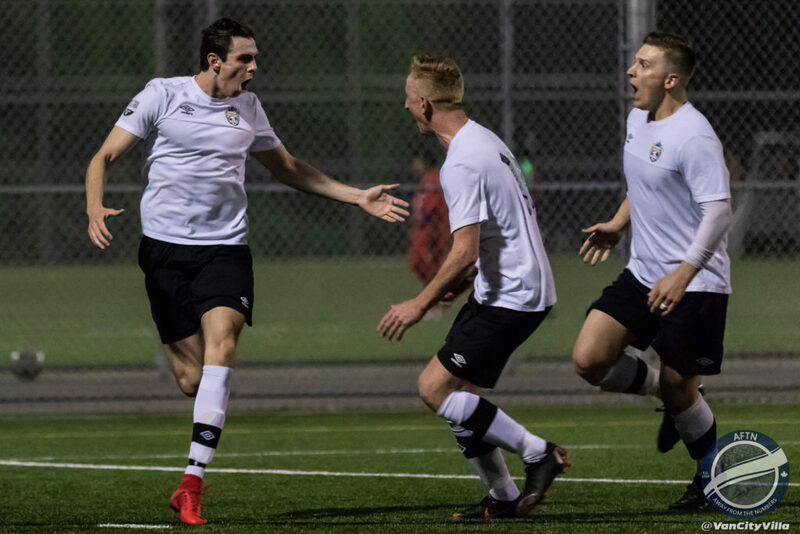 It is the second consecutive year that a Fraser Valley Soccer League team will compete in the final and this year they will play the best that their arch nemesis the VMSL has to offer in league champions Rovers Tigers, who did the business on Sunday against Cowichan FC. As mentioned, I was unable to make the start of the match, so there’s limited video highlights, but I did manage to capture the second Langley goal, their disallowed effort, the tail end and celebration of their third, and a couple of other pieces of action, and you can see all those in the video below. You can see the rest of Duncan Nicol’s (@VanCityVilla) photos from the match HERE and in the Flickr slideshow below. 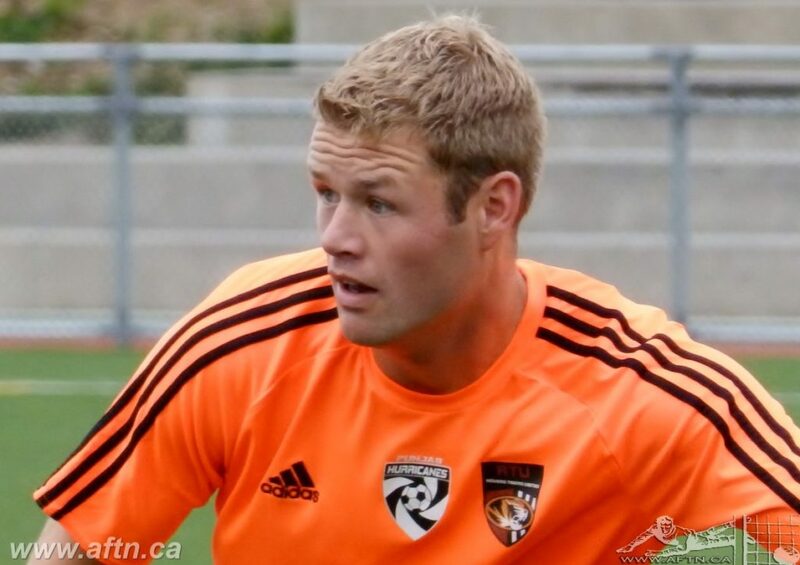 It was a battle of league champions in Duncan on Sunday afternoon as VMSL Premier champs BCT Rovers Tigers United made the long trip to the island to take on fourpeat VISL champs Cowichan FC. 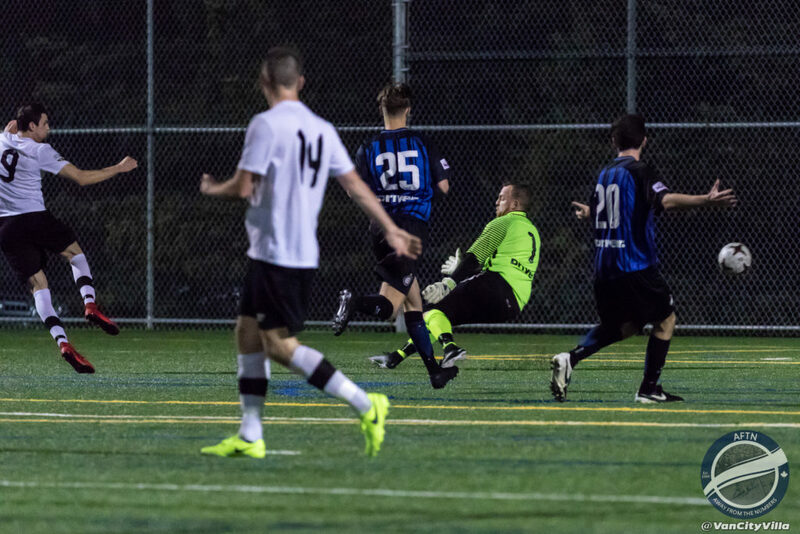 Many were expecting this to be a close affair but in the end it turned out to be a fairly one-sided than could even have been more the final scoreline had the VMSL side capitalised on their numerous chances against a depleted Cowichan side, who were missing a number of key starters. Rovers Tigers took the game to their hosts from their start and they got their breakthrough in the 23rd minute when their talismanic player-coach Nick Soolsma headed home a corner kick. The VMSL side’s pace was causing the islanders a lot of problems and Rovers Tigers had numerous chances to put the game to bed but couldn’t find a way past the Cowichan ‘keeper. The elusive second goal finally came with eight minutes remaining when Soolsma tucked away his second. And the former TFC man, and soon to be TSS Rover, completed his hat-trick two minutes from time on a quick breakaway. So a comfortable 3-0 scoreline in the end for the Surrey side, and it now sets up what could be a very intriguing final against a very talented Langley side, that certainly have some pace and a goalscoring threat of their own.